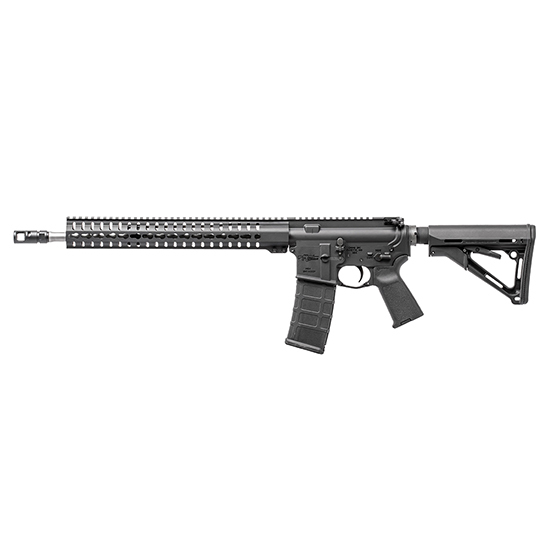 CMMG 55A591A Mk4 RCE Semi-Automatic 223 Remington|5.56 NATO 16.1 30+1 6-Position Black Stk Stainless Steel in. The Mk4 RCE features a 16 416 stainless steel barrel with a medium taper profile a SV muzzle brake and RKM14 KeyMod hand guard. This rifle also has a Geissele SSA 2stage trigger and Magpuls MOE pistol grip MOE trigger guard and CTR buttstock."